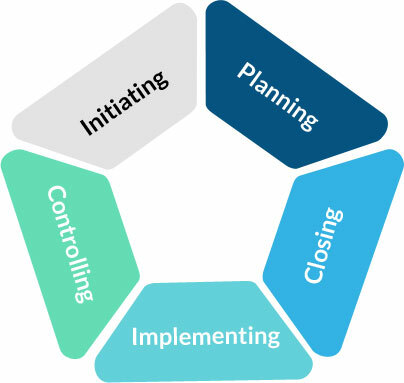 A “project”, in an organizational term, consists of a unique set of processes consisting of coordinated and controlled activities with start and end dates, performed to achieve project objectives. In order to achieve the main objectives of the project,it requires the provision of deliverables conforming to specific requirements of the devised project which may be subjected to one or multiple constraints.Project management is the application of methods, tools, techniques and competencies to a project which includes the effective integration of various phases of the project life cycle and is achieved through defined set of processes. An effective project management provides a framework to an organisation that helps it to accomplish business goals which is a driving force behind any task. In brief, projectmanagement is considered as a discipline specified with the purpose to achieve specific goals and objectives through effective planning, organizing, motivating and controlling resources. 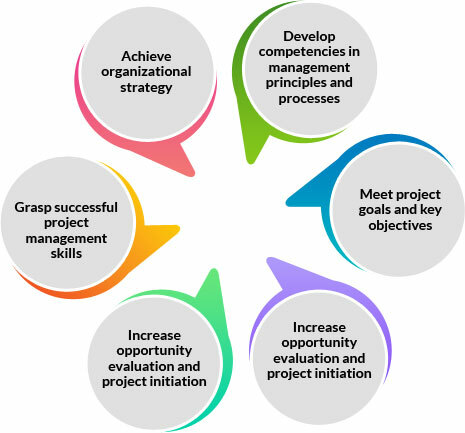 Project management is recognized as an efficient tool to handle complex activities.Therefore, it is highly essential to gain a substantial amount of knowledge on the essential concepts and processes of effective project management to obtain a better understanding of key principles to support management and establish a common basis on which to compare project standards and practices with those of others. WHAT ISISO 21500 BASED ON? WHAT IS ISO 21500:2012 - GUIDANCE ON PROJECT MANAGEMENT? ISO 21500 is an international standard issued in 2012 by ISO (International Organization for Standardization) which provides high-level description of concepts and processes that are considered to form good practice in project management.ISO 21500 describes a structured set of concepts and processes that are considered to form good practice in project management that can be used by any type of organizaton and is applicable for all projects – large, small, simple or complex.A guide comprehends a straightforward introduction and also explains the practical application on how to deliver projects successfully and ensure a sustainable future. ISO 21500 is a professional methodology which combines project management best practices and conveys them collectively. The target audience for this International Standard are senior managers and project sponsors, project managers, project management teams and project team members, and developers of national or organizational standards who will develop a set of core project management standards which are consistent with those of others. WHAT IS ISO 21500 BASED ON? The globally recognized certification is dedicated to guidance on project management, which is based on PMBOK framework. ISO 21500/2012 focuses on project management, processes and management areas, and coincides with such bodies of knowledge as PMBOK which is useful for companies those who wish to standardize and improve their project management. Also,ISO Standards 10006 and 21500 relate to international knowledge, such as PMBOK, PRINCE2 and ICB3.0 on project management as they are not subject to certification but have been included in knowledge standards that are subject to certification, such as ISO 9001/2008. The main is that ISO 21500 does not provide a description of tools and techniquesas in ISO 9001. Rather, it provides description of each process in ISO 21500 which consists of a general description and a table containing primary inputs and primary outputs. Also, some processes are grouped together in one process and some aspects are described in the ISO 21500 as a separate processeslike its in the PMBOK. Clause 1: Covers the scope of ISO 21500, i.e. the management of projects in ‘most organizations most of the time’. Clause 2: Contains 16 project management terms and their definitions. Relationship between project management concepts and processes. Clause 4: Identifies the recommended project management processes that should be applied across the whole project and/or to project phases. These processes are generic and can be used by any project in any organization or entity where the applicable processes are selected and the sequence in which they are carried out will be defined. This sequence however, will solely depend on the project at hand and the needs of the organization or entity. In order to achieve the key objectives of a project, every project team requires competent individuals who are capable of applying their knowledge and experience. Any identified gap between the available and required competence levels on a project team can introduce risk and should therefore be addressed.Therefore, guidance on project management which offers high-level descriptions of theories and procedures that shape good practice model towards en effective project management is warranted. Ensuring minimal or no disruptions to the other projects, the ISO 21500 will guide you towards significant project improvements by enabling the project to be completed within the business constraints. TRAIBCERT certification proves that you possess the necessary skills to lead a project and manage a team effectively. It will enable you to be more confident and competent to define the proper resources needed to deliver projects on time and on budget. Once our highly competent & qualified auditors who are experts in the sector, identifies that yousatisfy the requirements of ISO 21500, we TRAIBCERT a leading accredited certification body will Issue the ISO 21500 certificate. Develop options to identify measures of expansion of the opportunities and reduction of the threats for the purposes of the project. At TRAIBCERT, an independent third party certifying body, we believe that project management will plays an increasingly more prominent role involved in product developmentwhere talk of “project capturing” is becoming more and more common. For this reason, we believe that to be certified according to the ISO 21500 is a value for our customers: we use common concepts and vocabulary, as well as a common frame of reference, based on best practices in the industry, whatever their source is. Constantly maintain a balance between 3 requirements: project cost, quality of the result, and time. Contact us to get to know more about Project Management through TRAIBCERT's excellent and unique string of ISO 21500 training courses which cover useful practices and guidelines allowing you to become a better project manager.